Liz O. writes stories, plays music and gets sunburn at comic book conventions. Found this when I was going through my records for Underground today. Stephen “TinTin” Duffy was the original vocalist for Duran Duran. He went on to do a bunch of other stuff, my favorite of which is this single. 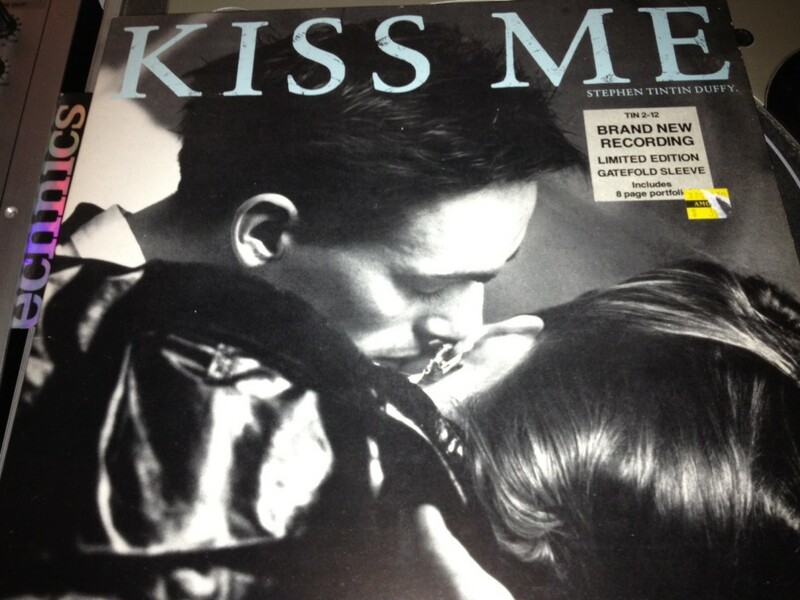 This specific single only features the “mixe plural” version of “Kiss Me,” which is actually the version I prefer playing at clubs. 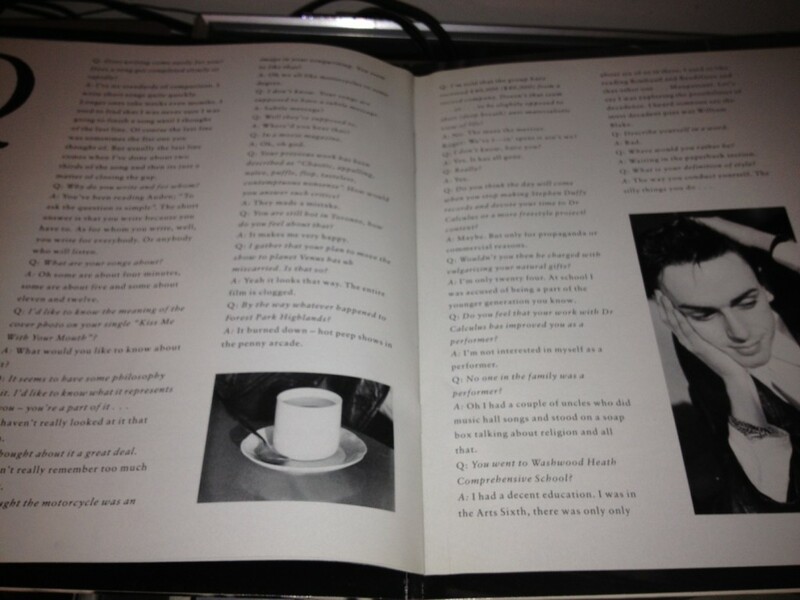 It’s also a gatefold with a cool booklet that features a Q/A and some really awesome photos by Neil Kirk. 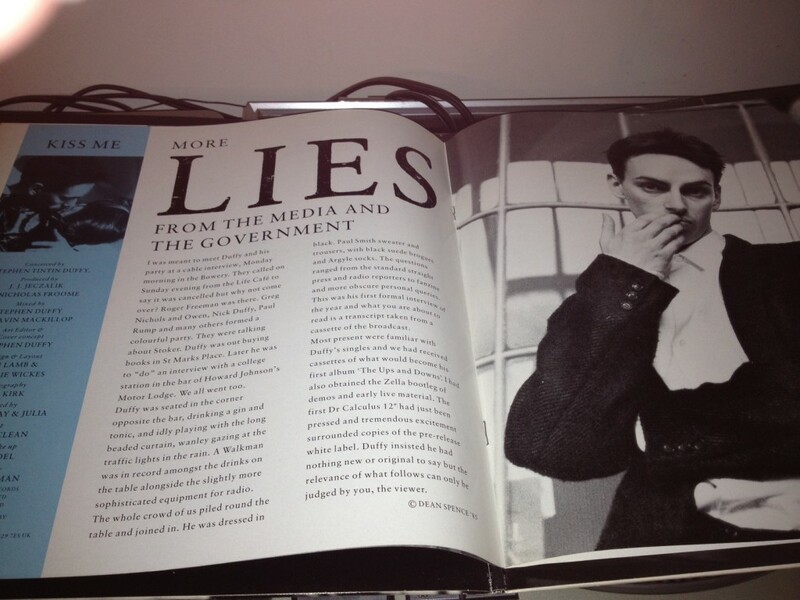 Take a peek at the booklet after the jump. 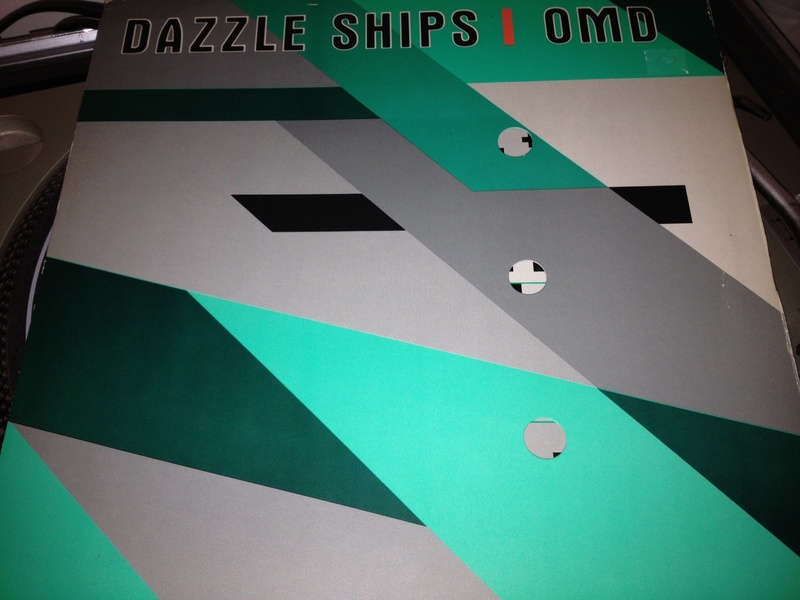 I also picked out my copy of Dazzle Ships by OMD at the request of my boyfriend. The cover design is by Peter Saville, who is best known for his work with Joy Division and New Order, but also counts albums from Suede, Pulp and many other great bands amongst his credits. Both the album title and the cover reference a form of camouflage used in World War I. I like the way the cutouts on the cover look like portholes. The interior is pretty nifty too. 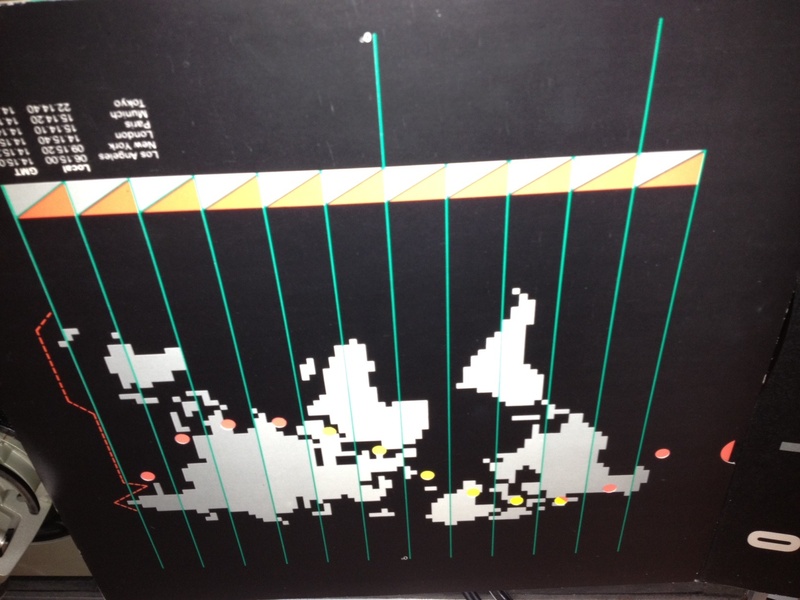 I like the 8-bit approach to the map design. Like the cover, the interior has small cutouts. 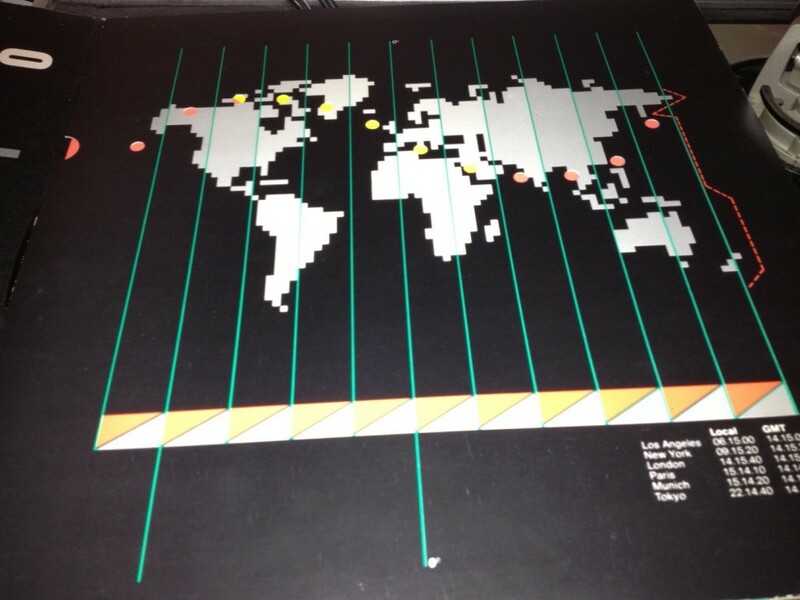 There’s another, multicolor sleeve underneath that is peeking through the map. This entry was posted in Uncategorized by lizo. Bookmark the permalink. Wow…Tin Tin…OG DD. I remember KROQ playing “Kiss Me” on regular rotation back in the ’80s!!! Liz, I totally have a crush on you now!!! I remember hearing “Kiss Me” on KROQ a lot in the ’80s as well. It’s a Richard Blade jam for sure.